Performing Arts Center of Metrowest – Music, Theatre, and Dance for All! Welcome to PAC's NEW WEBSITE! 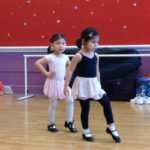 THE PERFORMING ARTS CENTER OF METROWEST offers lessons, classes and programs for students of all ages and skill levels. Students flourish in PAC’s supportive community as they learn to play an instrument, to experience the excitement of theater, and feel the mind/body connection of dance. and bring joy into people’s lives! 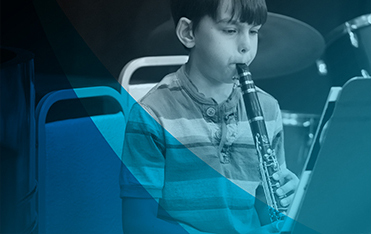 THE PERFORMING ARTS CENTER OF METROWEST provides an environment that ignites creativity and encourages self-expression, individual achievement, and lifelong intellectual development in music, theater and dance. Students at THE PERFORMING ARTS CENTER OF METROWEST are nurtured to develop talents and perfect skills by our highly-qualified staff. Students are encouraged and prepared for recitals and performances, and feel the exhilaration of performance by an appreciative audience. Join us, April 28th for Andaluz, a musical journey through Southern Spain. This spectacular event features PAC's own Fanny Lora, mezzo-soprano, along with her accompanies, Yokiko Obu. Joining them will be local Natick flamenco dancer, Eve Costarelli. This event promises to be memorable, not only for the dynamic performances, but with songs that have never before been recorded. For ticket information and more, click here! Summer Theater Workshop Registration Is Open! Check out this year's lineup of summer workshops! We've got some great shows lined up, Madigascar, Jr. Mary Poppins, Jr. and Frozen, Jr. Hop on over to our Theater Workshops page for all the details and registration information. We can't wait to see you there! Act fast to get our special Early Bird Discount, only available until April 15th! PAC is now enrolling students for our spring semester classes! Whether you're a returning student or are looking to try something new, we've got something for everyone. Remember, the first class is free for new students! Register today for winter music, theater, and dance classes!